The call for gender equality and the need to close the gender wage gap has been topical for decades. Strides have been made in empowering women to take on more positions of leadership and activate their own potential. What’s the link between increased representation in a business and success? Here are four reasons highlighting the value of diversity for your organisation. The way you approach a problem is often defined by your worldview – what do you value, what are your behavioural patterns when it comes to conflict? A workforce represented by employees with similar worldviews is comfortable because it’s familiar and less inclined to be confrontational. The problem comes in when issues arise. If a process consistently fails or breaks and is met with a team that thinks fairly similarly, the possibilities of innovation and improvement decrease. Increased representation opens the door to diverse problem-solving because it fosters the interaction of different worldviews and approaches. Considerations that might have been overlooked or thought to be inconsequential to one group of people might carry significance for another. The more varied a workforce, the greater the opportunity for new approaches to optimising processes. 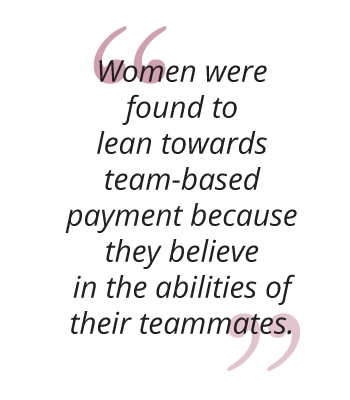 The National Bureau of Economic Research conducted a study on the way men and women approach co-operative pay and incentives to better understand if one was more inclined to collaborate than the other. The question then becomes: what can the contemporary business environment learn from politics? Including more women in negotiations and discussions could lead to increased collaboration and swifter decision-making. The success of a team and the rate of engagement of an employee is difficult to measure or diagnose, but an MIT study found there’s a correlation between success and communication. 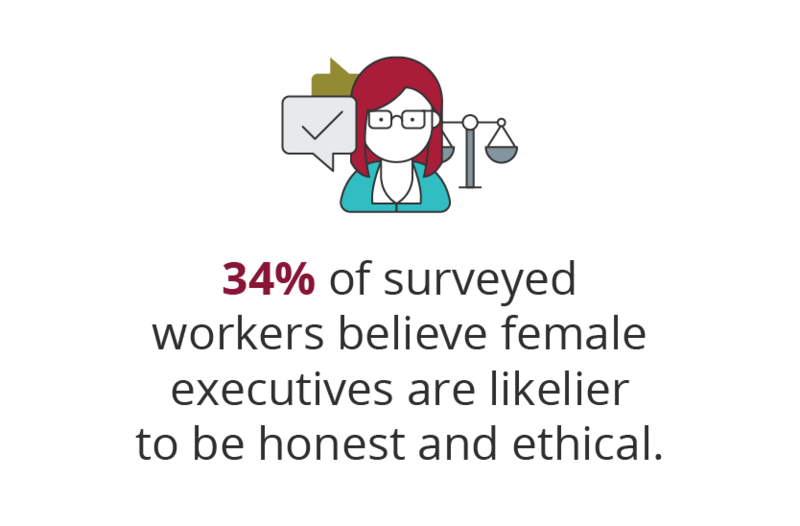 If you then consider that 34% of surveyed workers believe female executives are likelier to be honest and ethical5, having an increased number of women in leadership lends itself to a workforce likely to be more trusting of their leaders. The sentiment of trust and open communication is mirrored by fact the same study revealed 30% of workers perceived women to make better mentors than male counterparts. Increased mentorship offers workers the opportunity to soundboard their plans for career trajectory and can help foster the feeling of growth in the organisation. For-profit-businesses make no effort to hide their number one priority. The success of a business is ultimately defined by its profitability. So does an increase in the representation of women in leadership have any correlation to an increase in financial success? The Peterson Institute for International Economics found exactly that. Their think-tank conducted a study to investigate whether increased gender diversity in leadership could boost profits, and found organisations that initially had no women in leadership, and who then increased this to 30%, saw an increase of 15% in their net revenue margin. It was also found that Fortune 500 companies with higher numbers of women in leadership positions also performed better on average in return on sales, return on equity and return on the investment. The reason for increased financial performance isn’t certain but the correlation between the monetary performance of a business and its female leadership remains evident. Want to lead the development of a diversity proposal for your own organisation and reap the rewards of increased representation of women in leadership? Find out more about the Women in Leadership online short course from University of Stellenbosch Business School Executive Development.